Make an elegant style statement as you adorn this expertly designed and eye-catching diamond necklace. 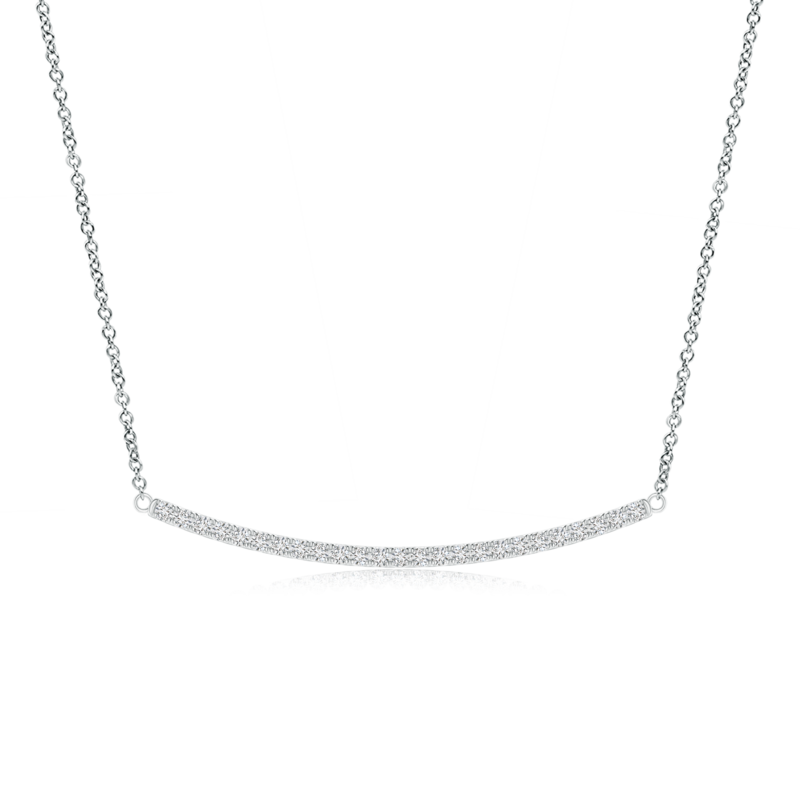 It features an artistically curved horizontal bar pendant that is embellished with sparkling lab grown diamonds. These conflict-free gems cluster together within the frame in a prong setting and shine like stars in the night sky. Crafted in 14k white gold, this diamond necklace is a wonderful choice to showcase your love for a truly mesmerizing piece of jewelry.